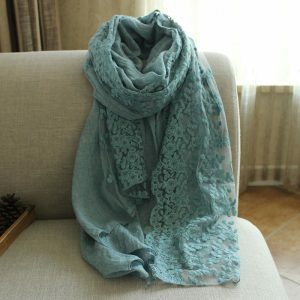 FEATURES It is made of cotton and linen as the main material, and the lace pattern of special pattern is produced. 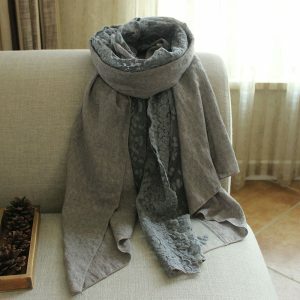 It appears on the scarf with a decorative gesture, the whole lace, or a small area of fabric stitching. The faint perspective effect is infinitely imaginative. The right place highlights the feminine charm, mysterious black or sweet pink, light beige and white exudes femininity. 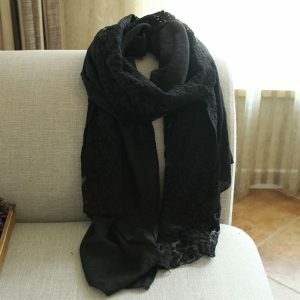 The transparent lace and the entire scarf are split into two, which does not affect the comfort of wearing.